In addition to spending heaps of time with our favorite metaphor, the tarp, I’ve also spent lots of time working on gates with Brio. I’m a firm believer that a good horse should let his feet become his riders feet. 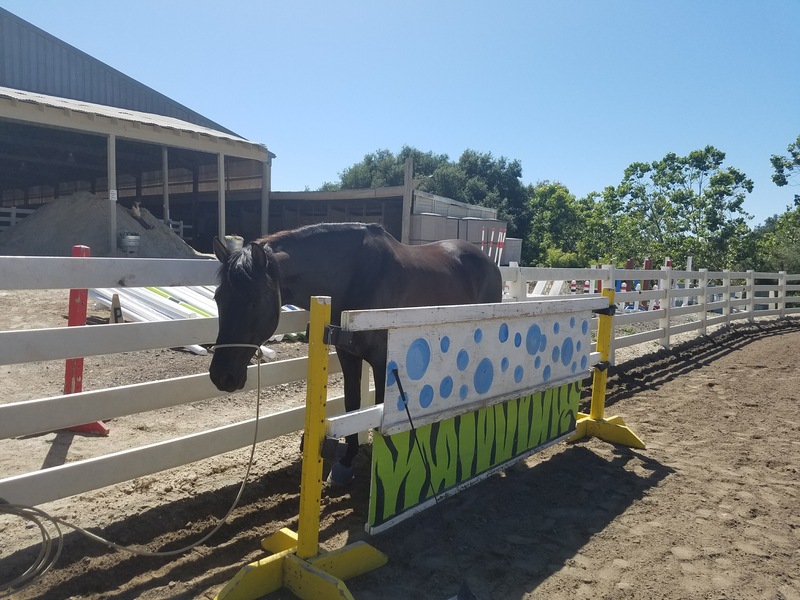 When I ride a horse through a gate, I want to open the gate, and keep my hand on the gate when I go through it, and close the gate without removing my hand. Brio has an opinion that differs from mine on every single aspect of how I want to operate a gate. If he had his druthers, the most cooperative he would be about a gate is to do a Hollywood stop by the latch, let the rider fling the gate open on the move, pass through the gate, and never look back. Brio doesn’t like to stand close to the gate, be near the gate when it is moving, stand in the gap of an open gate, back through a gap, step towards the gate as I close it, and stand by the gate while I latch it. Rather than continually work with a gate to achieve my goal, I addressed each aspect of his distaste individually. To help with his lateral movement, I worked on his joystick control, and his rein yields. I worked on his patience training to help his stand quietly as I operate the latch. I worked on backing between cones, then through gaps in the gate and other narrow places. I worked on him standing while I shifted in the saddle or did something else with my hands. 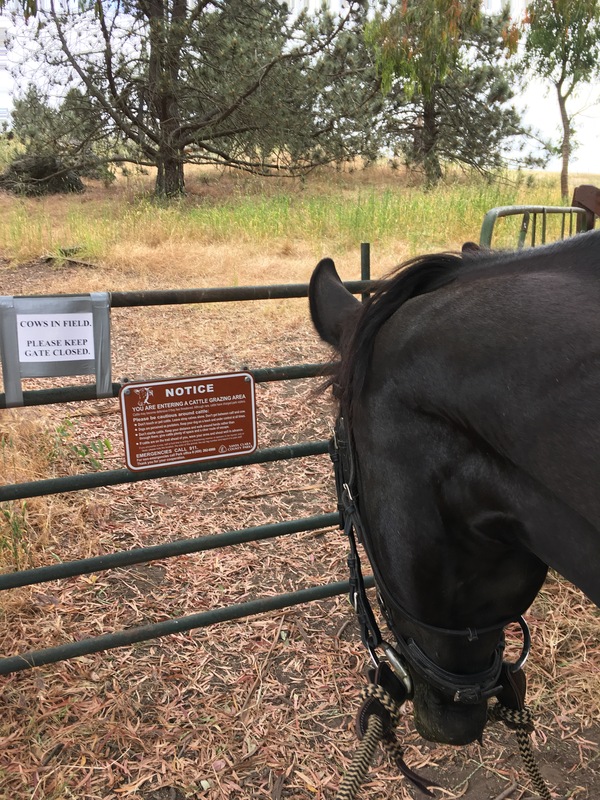 Again, the gate wasn’t so much of an issue as the aspects of his training that were lacking in his response to a gate. We worked on all of these training aspects on the ground prior to doing them mounted. The gate was a test of his skills and training and he failed. Rather than take the test again with no additional preparation, we went back to study the curriculum that he wasn’t understanding. The process took quite some time, and isn’t perfect yet. As a result, Brio is much better at opening a gate and we can do it the way I like now. While it has taken me months of training to get to this point with the gate, the journey has given me a better riding horse with more malleability. These days we are getting about a B- on our gate test. 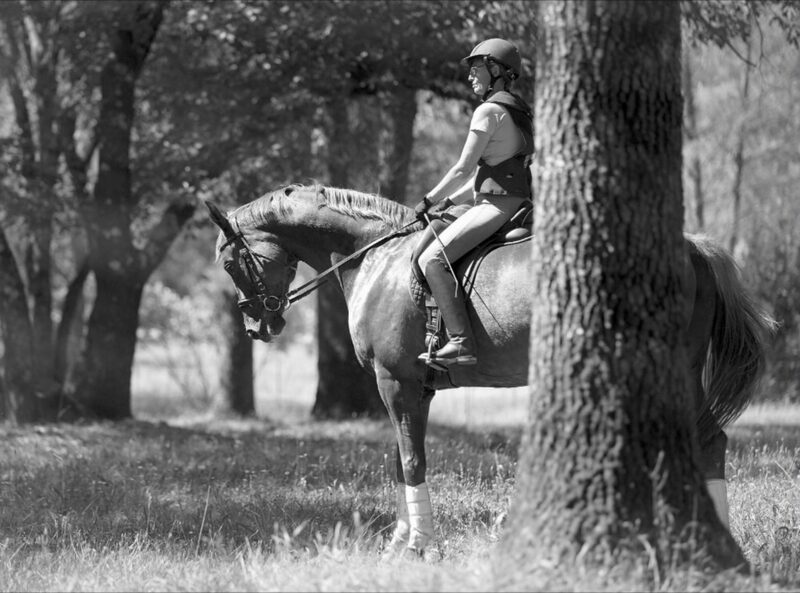 Breaking down the skill into parts makes it much easier for horse and rider to understand.